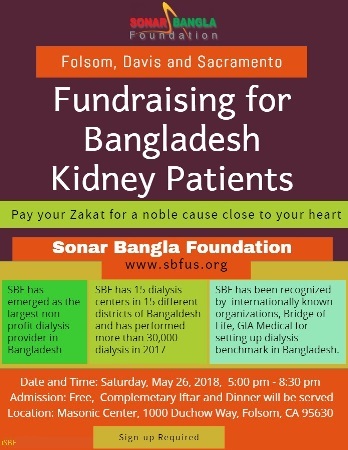 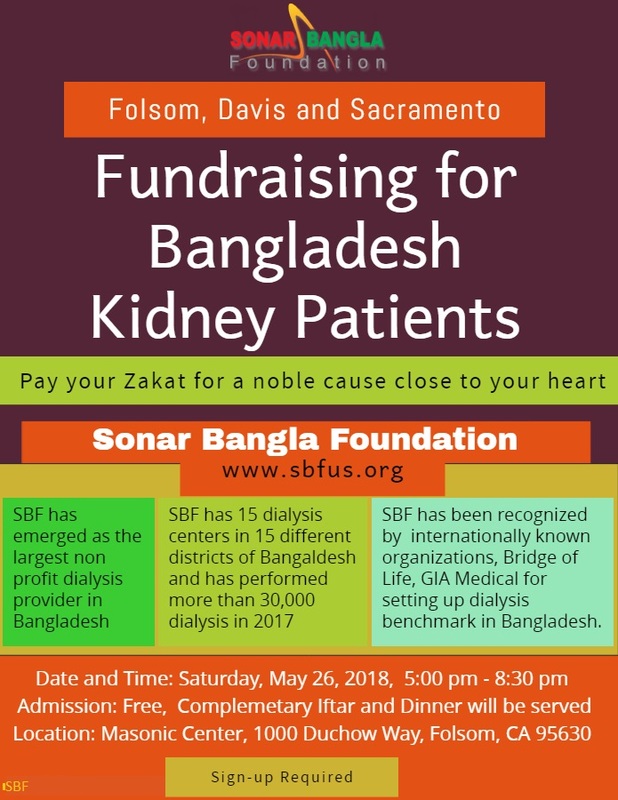 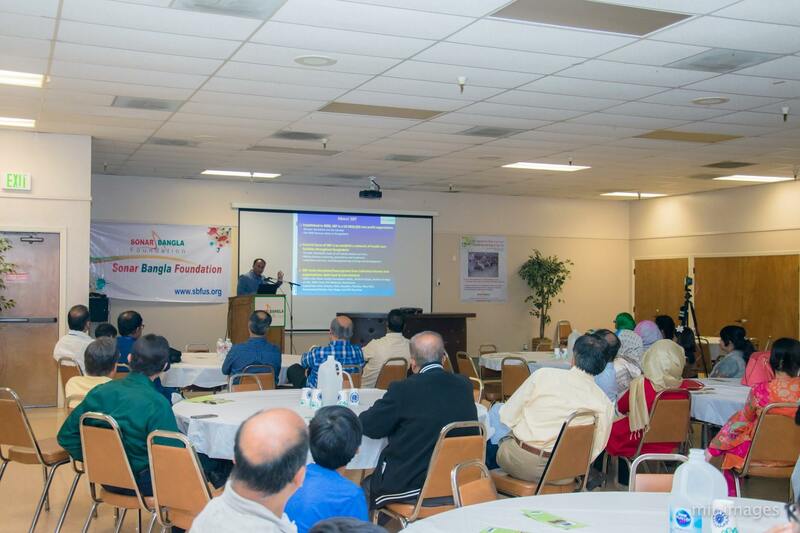 SBF arranged a fundraising for it dialysis patients in Bangladesh at Folsom Sacrament on May 26h, 2018. 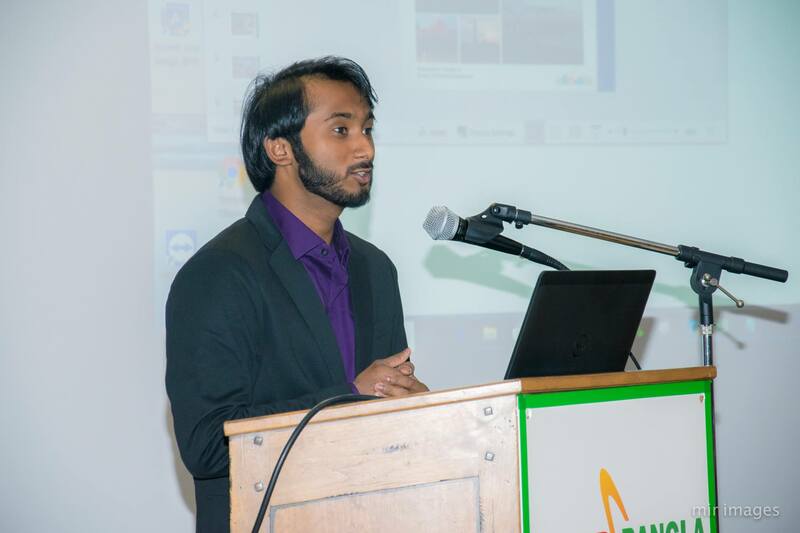 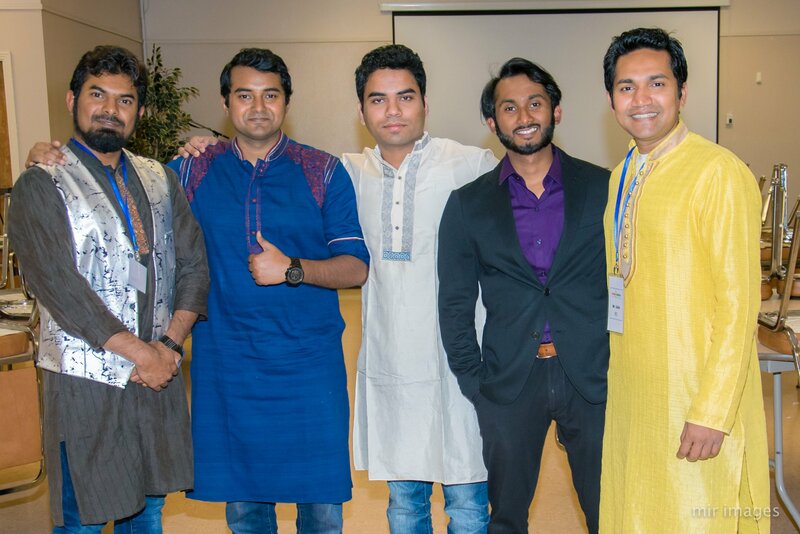 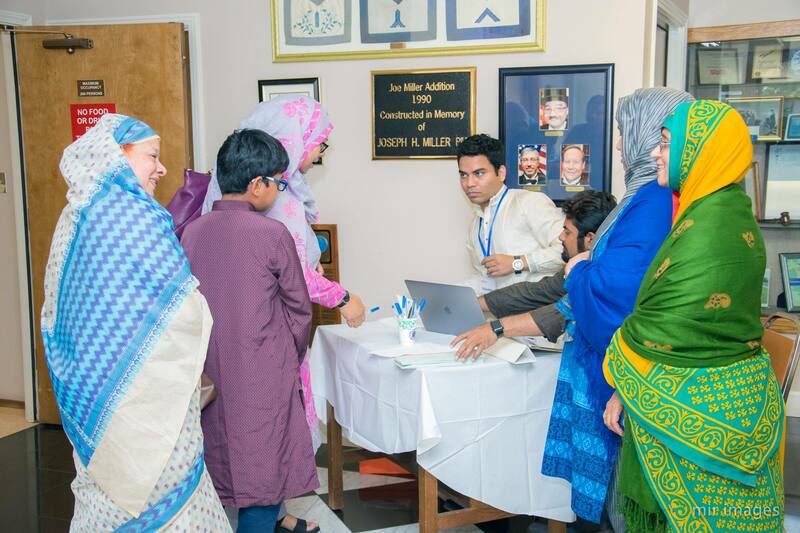 It was co-hosted a local organization, SABAA, also by Intel-BUET alumni. 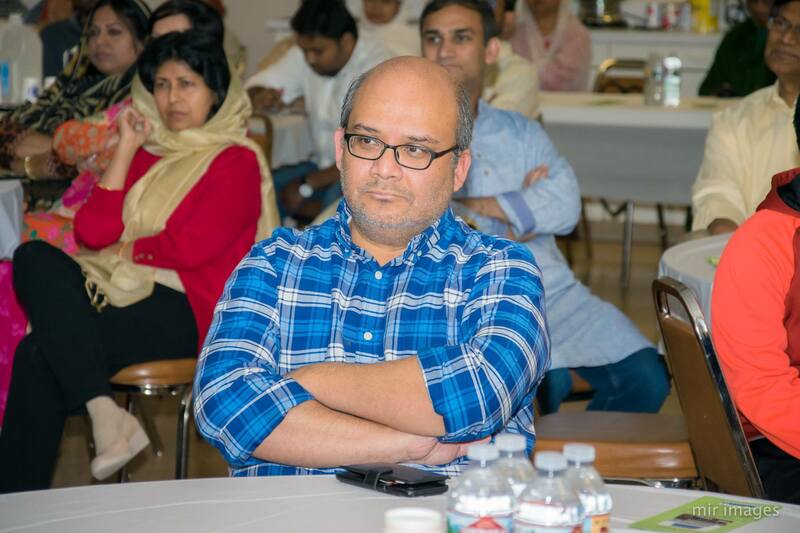 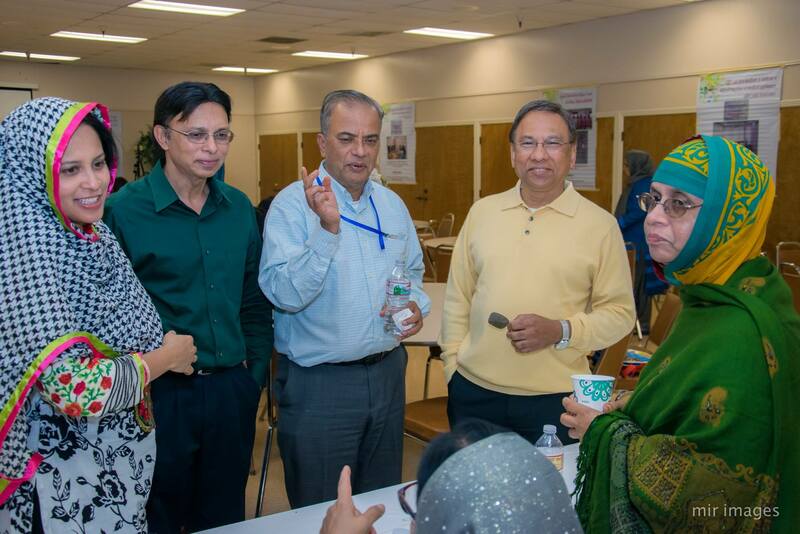 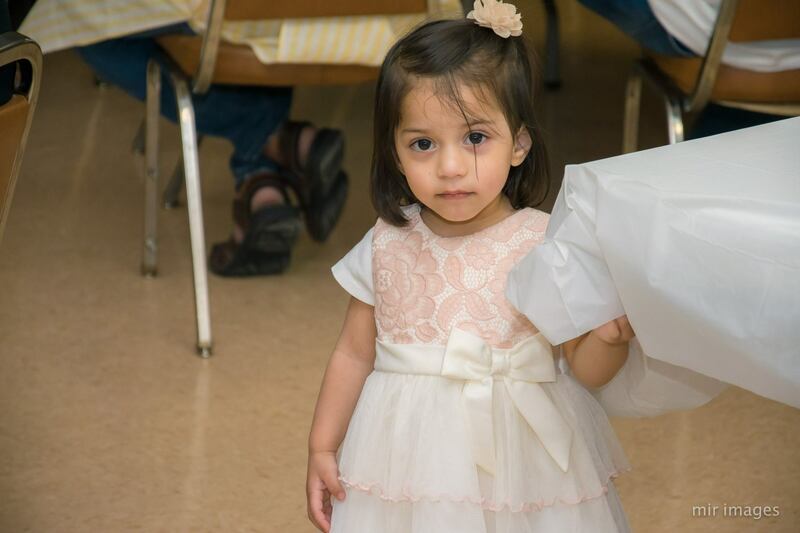 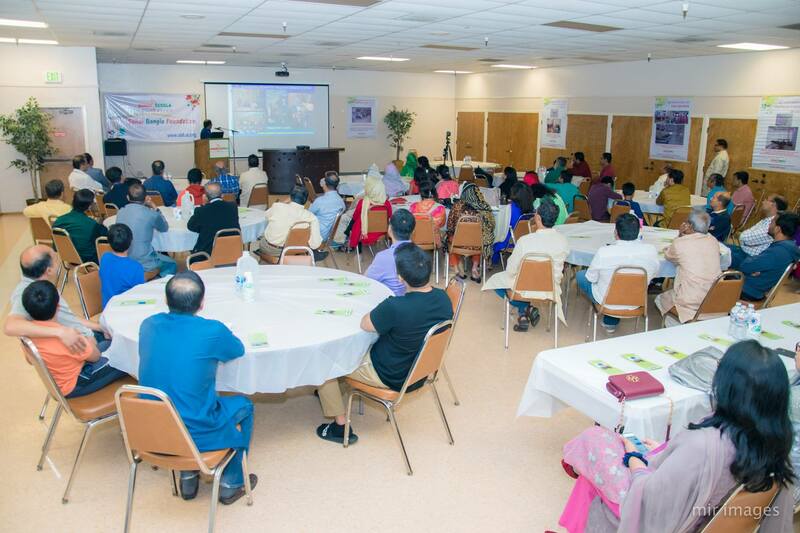 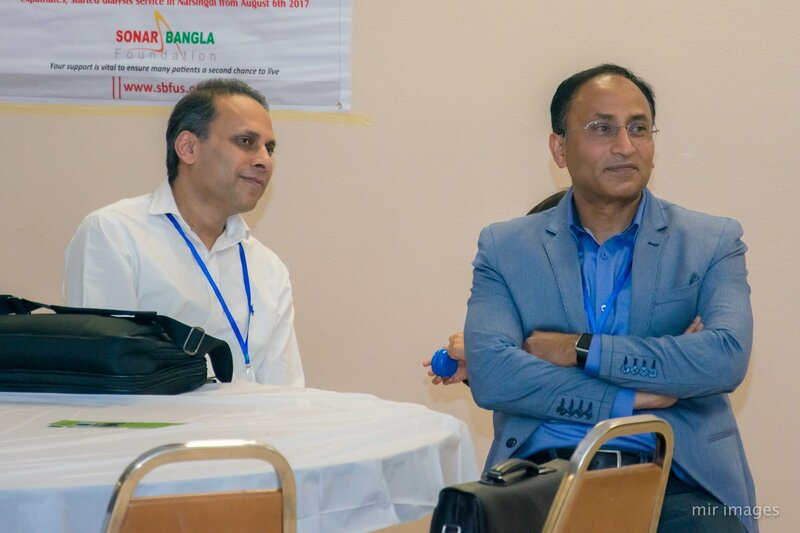 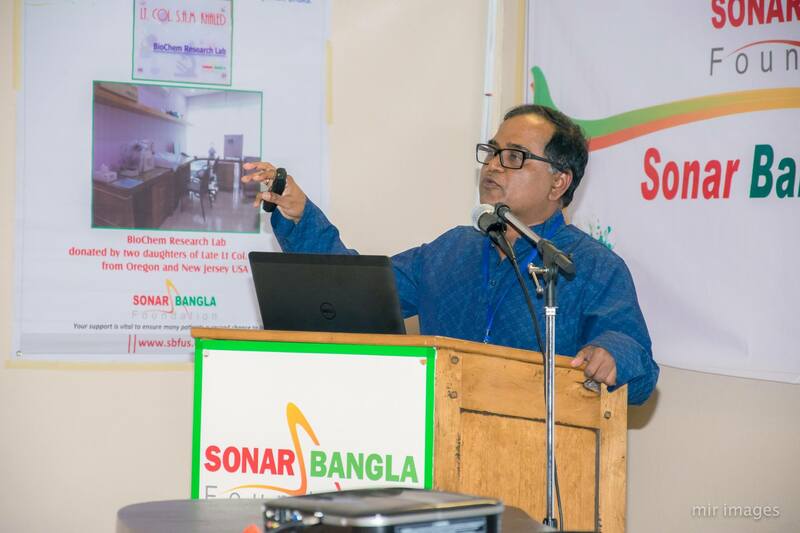 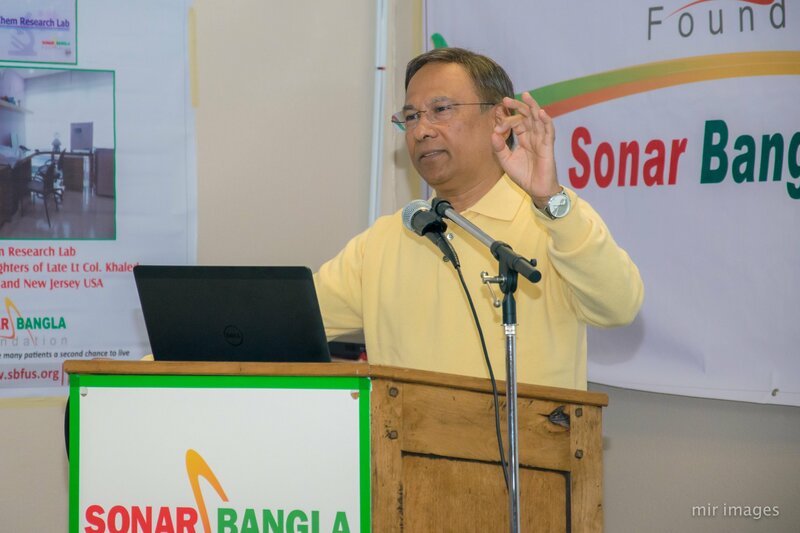 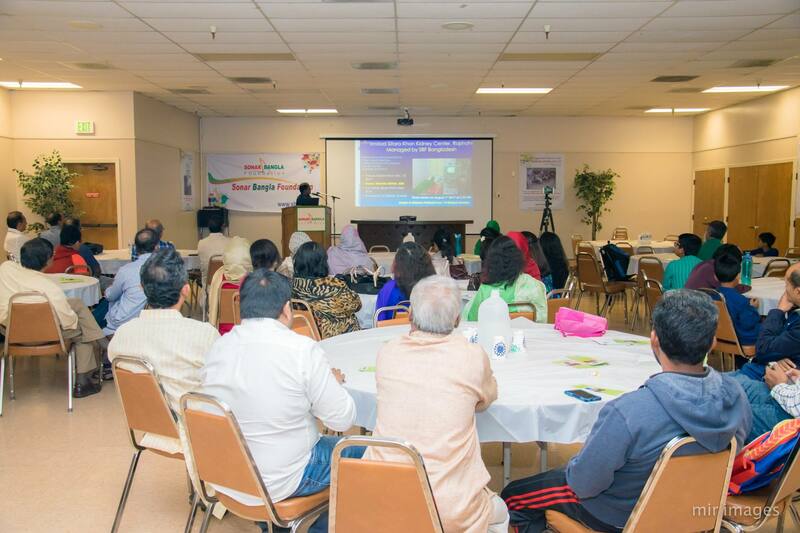 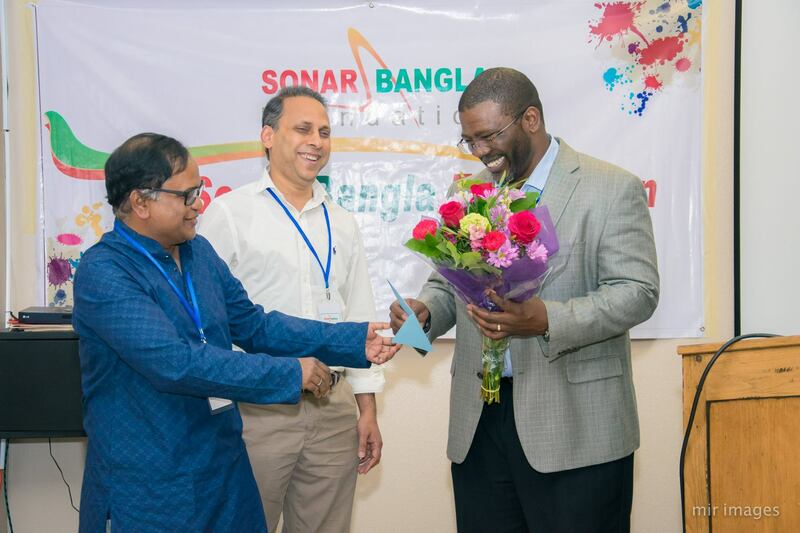 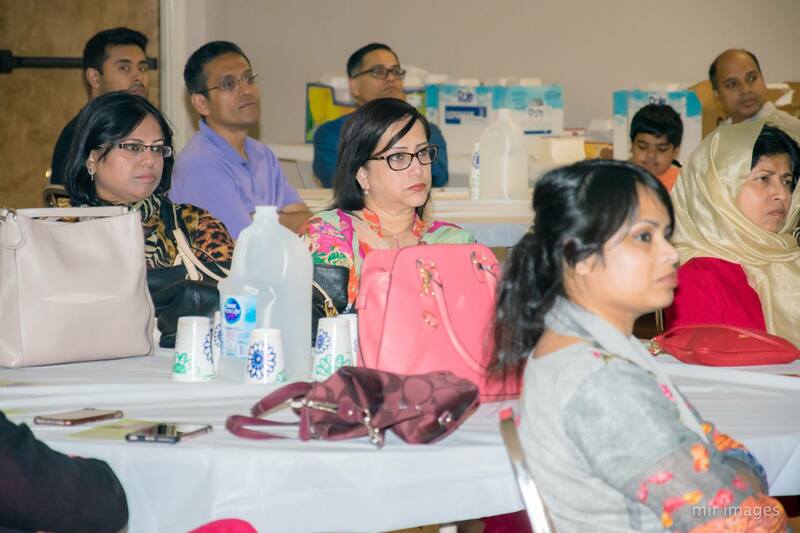 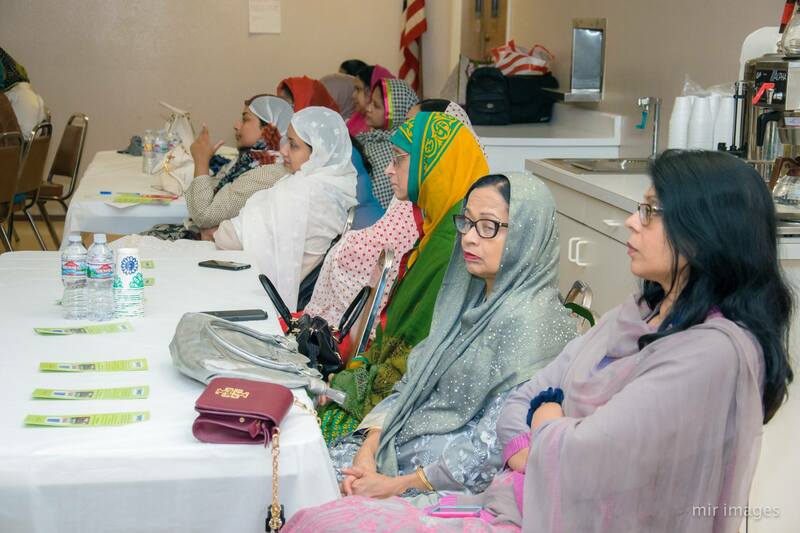 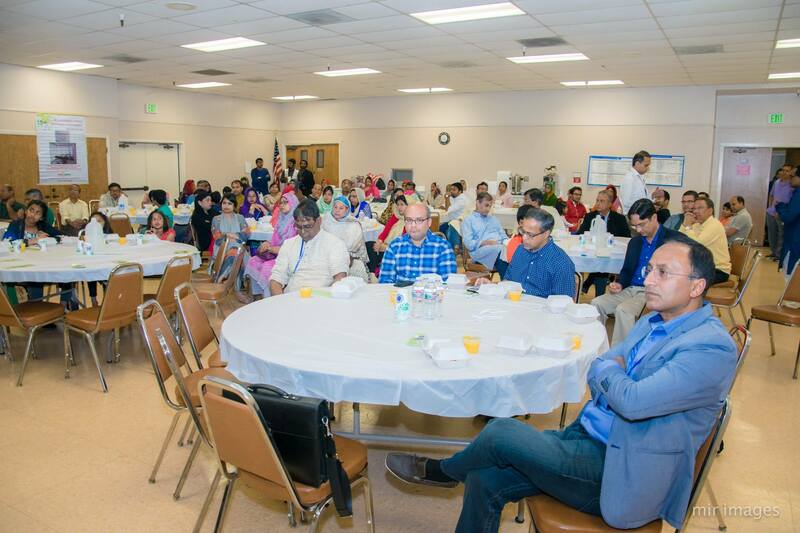 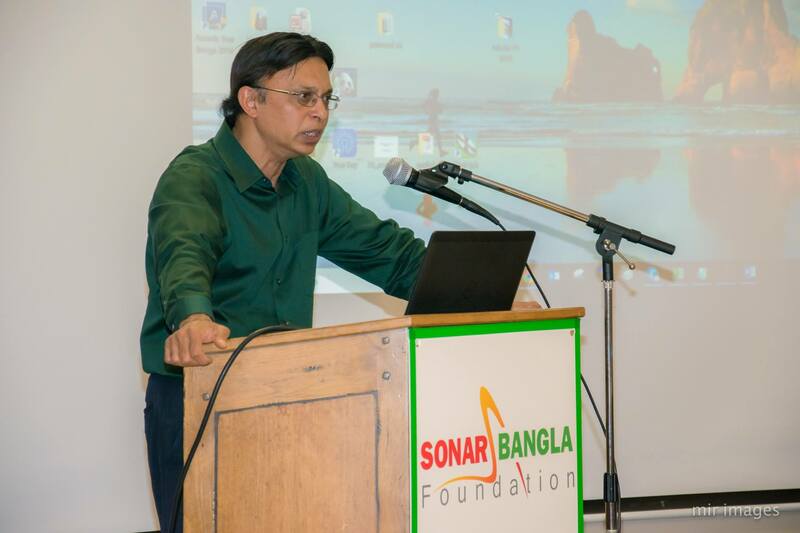 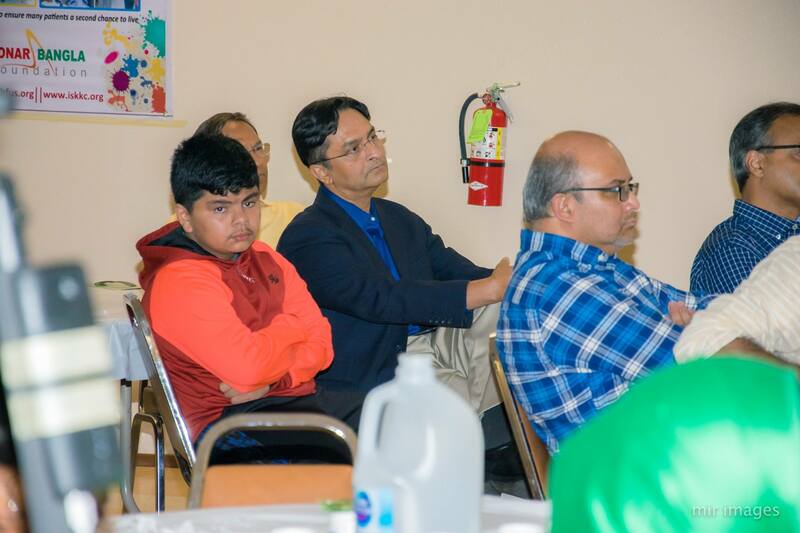 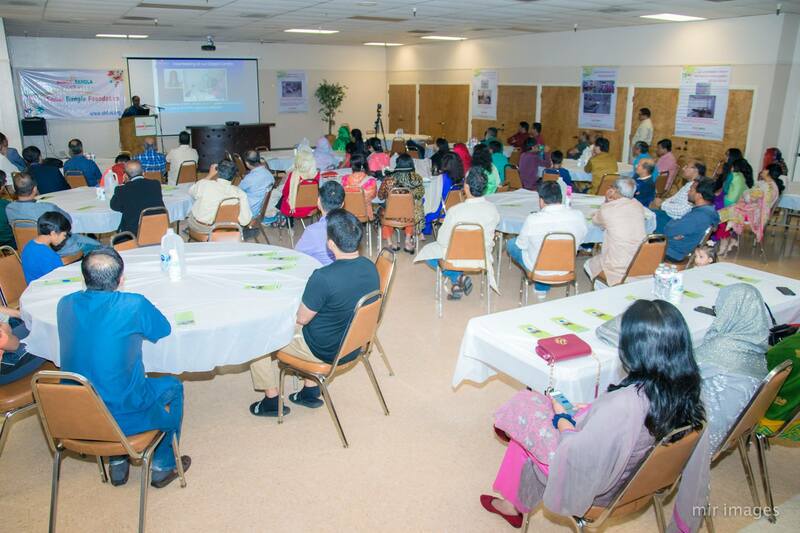 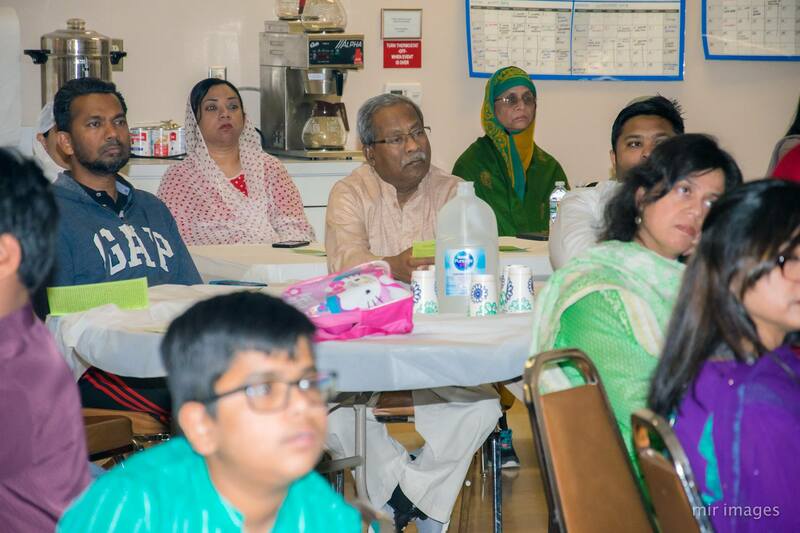 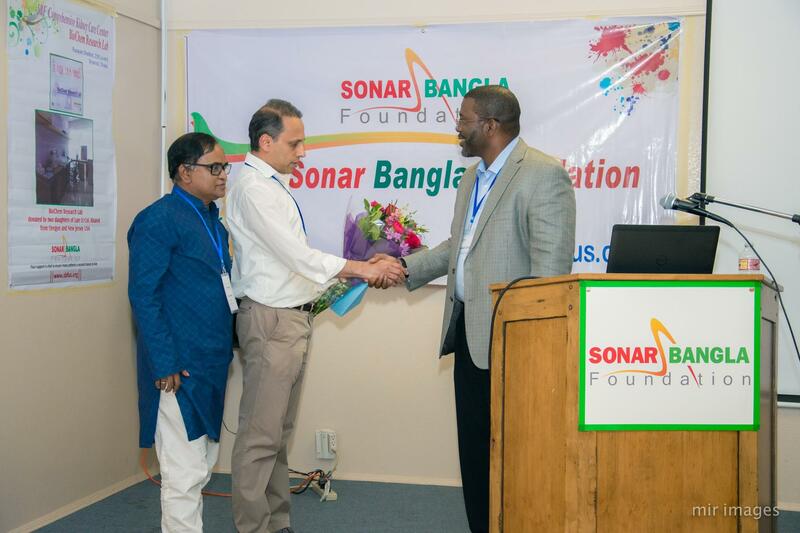 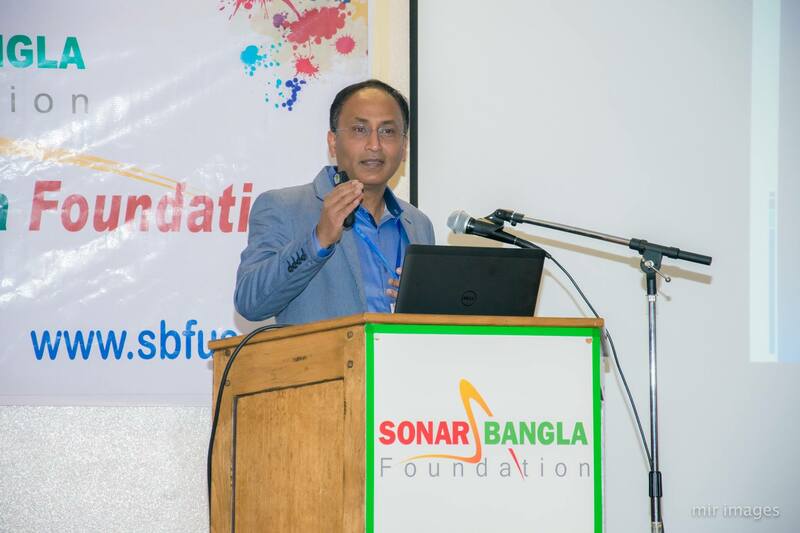 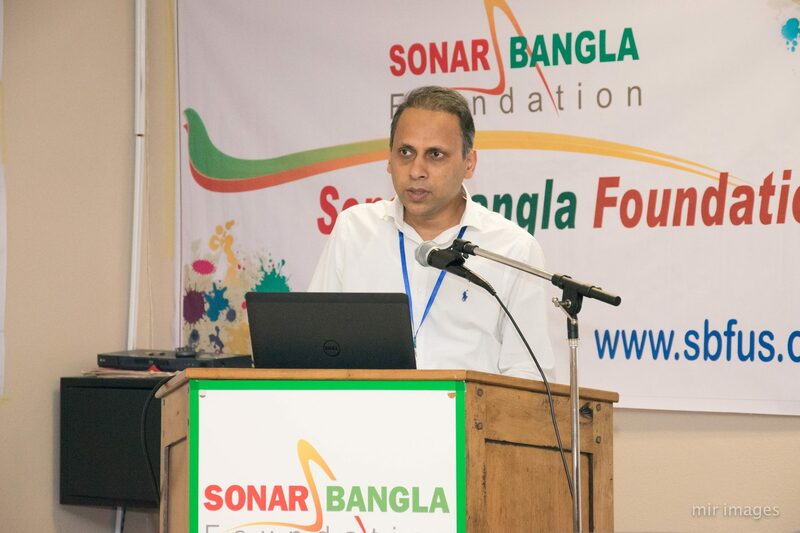 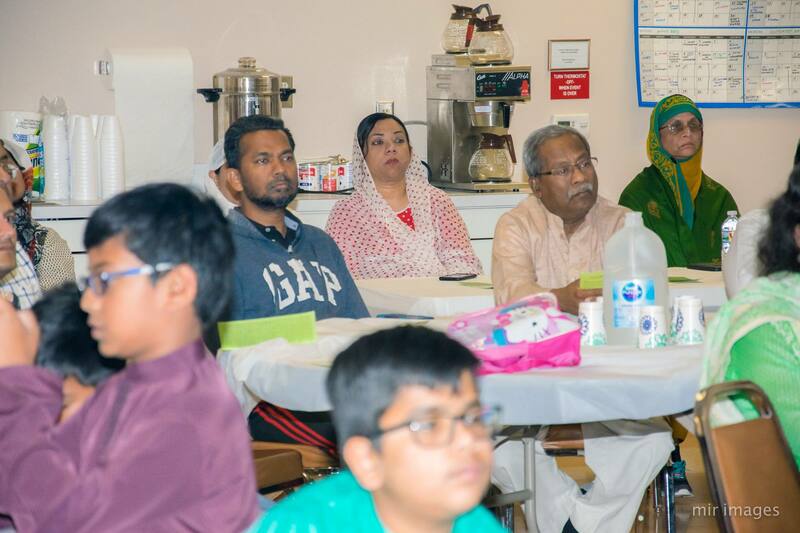 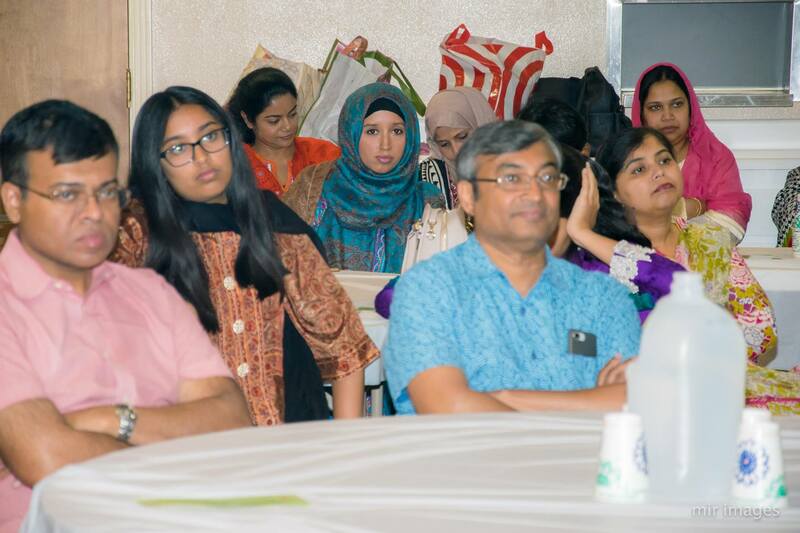 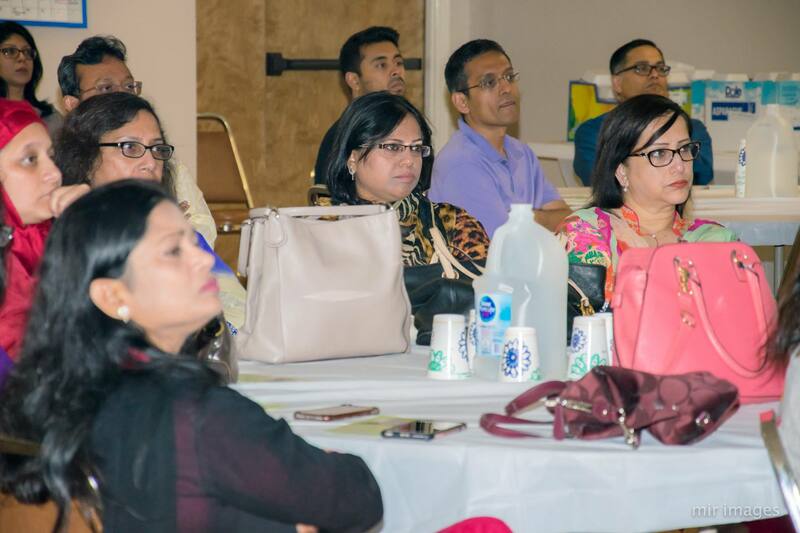 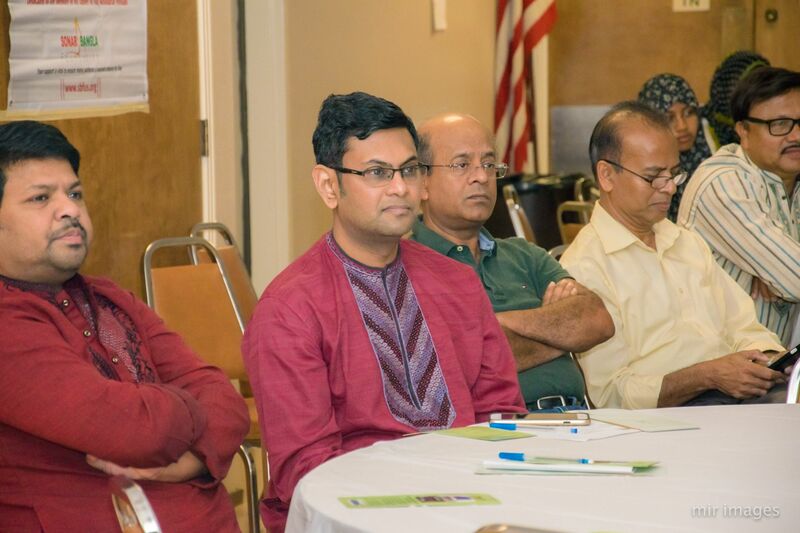 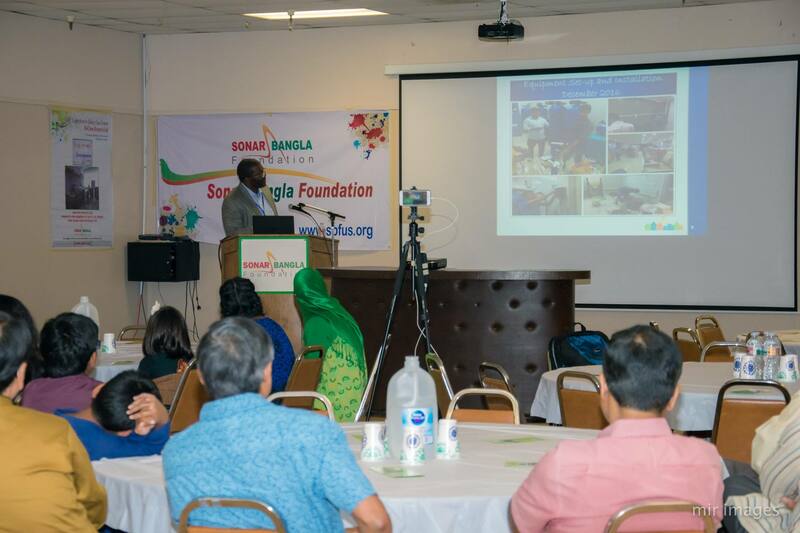 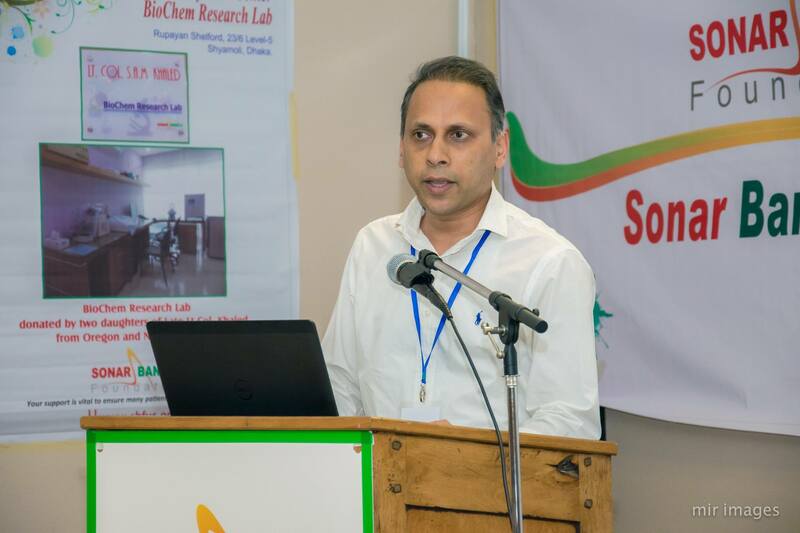 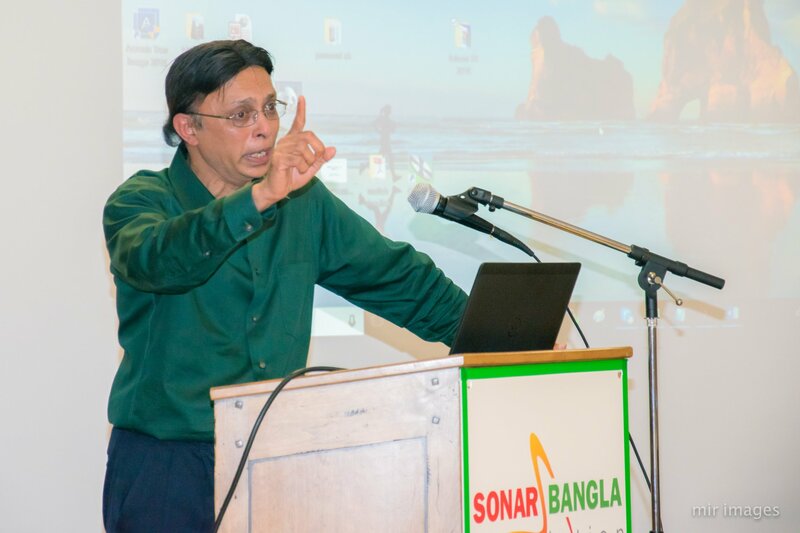 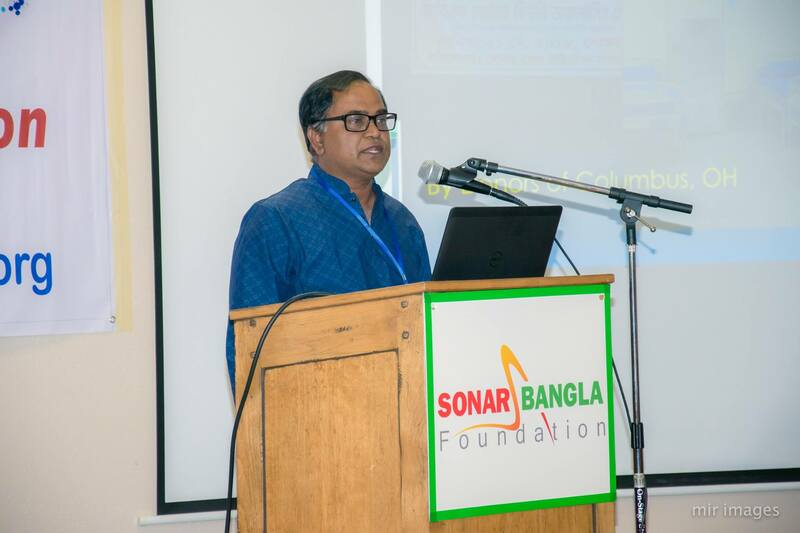 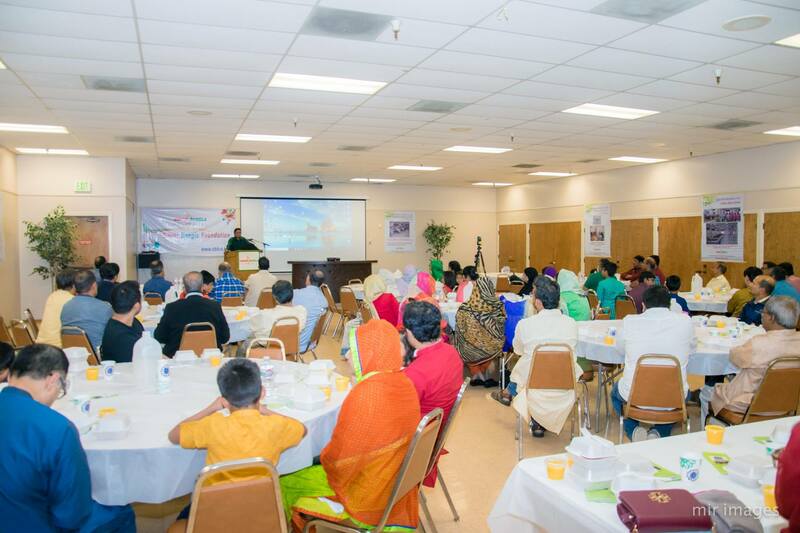 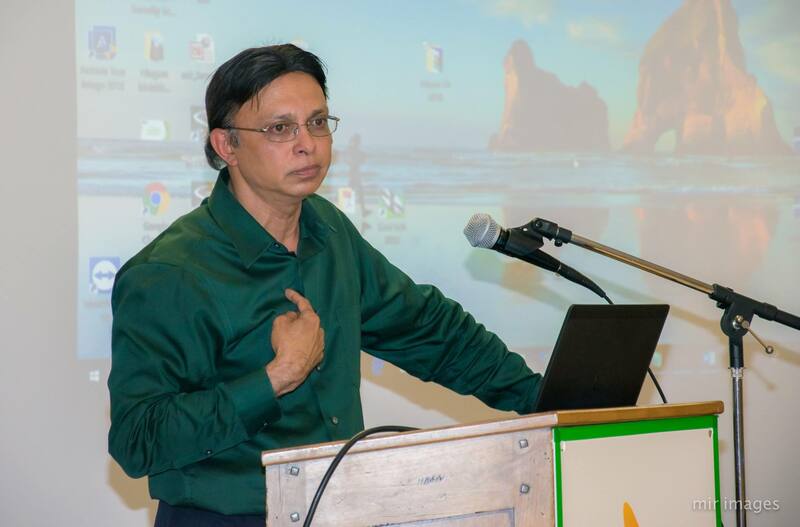 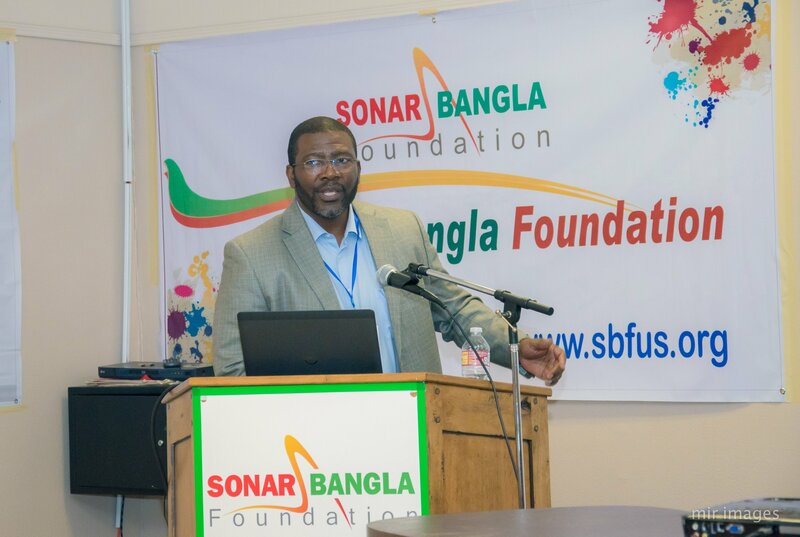 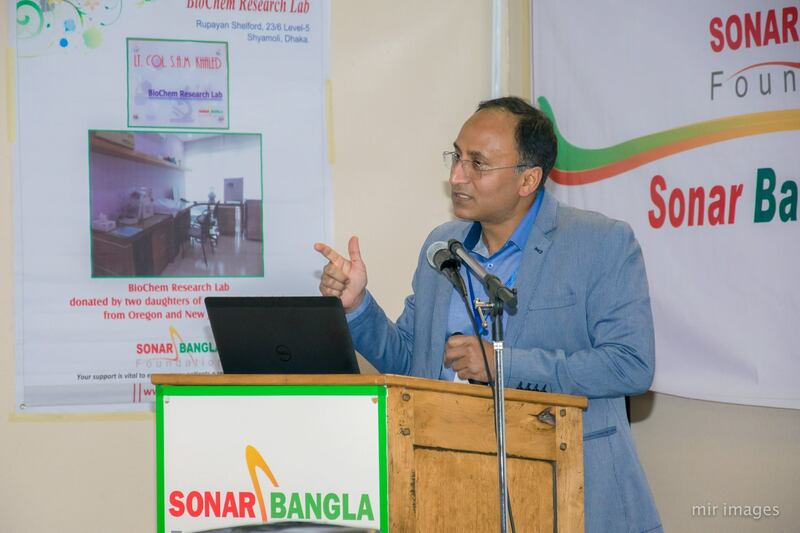 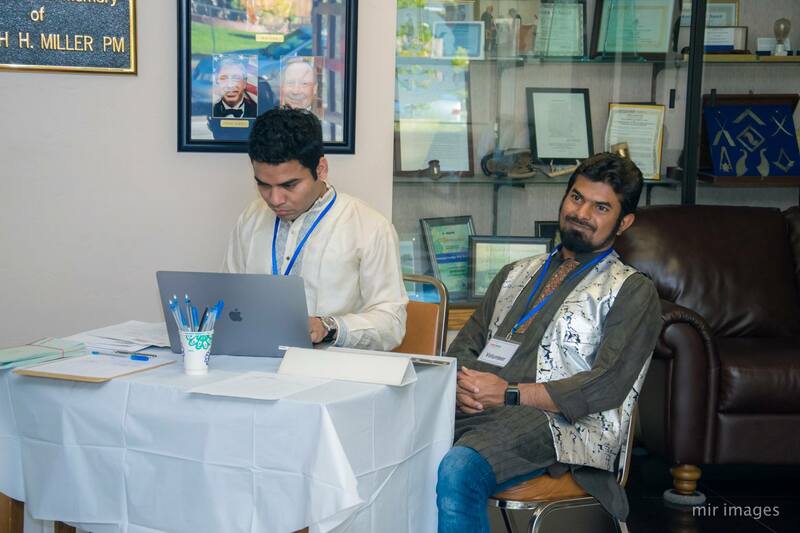 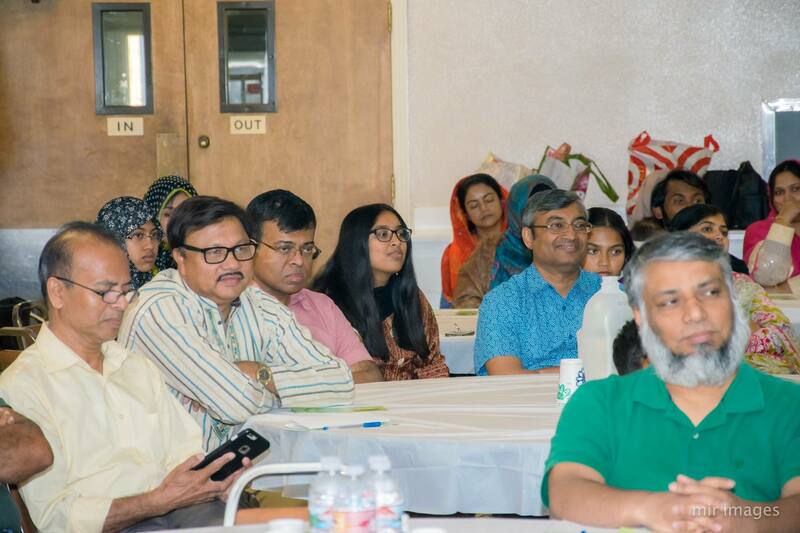 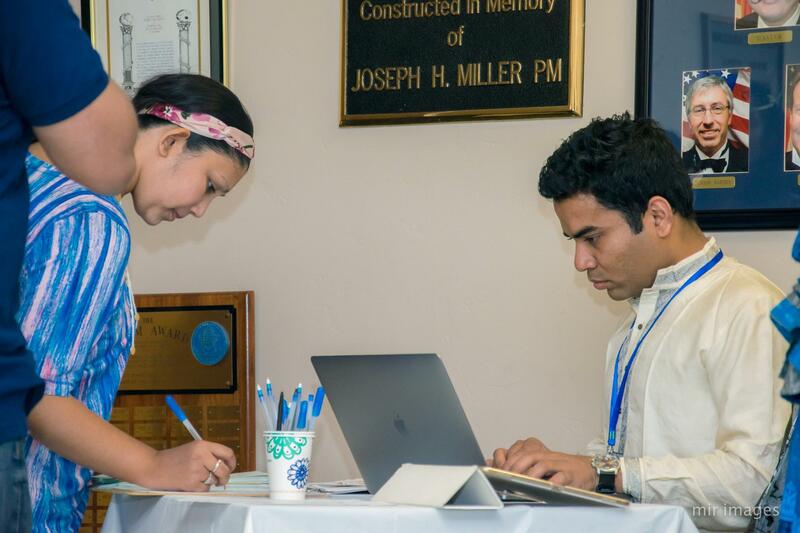 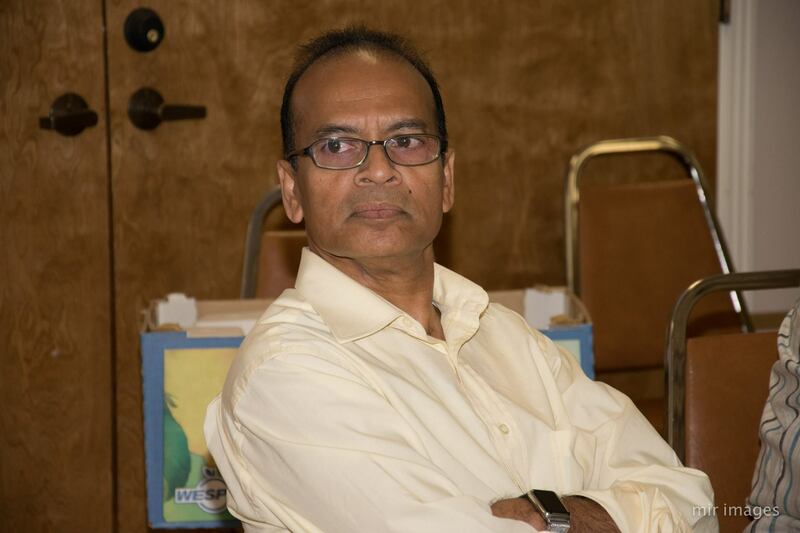 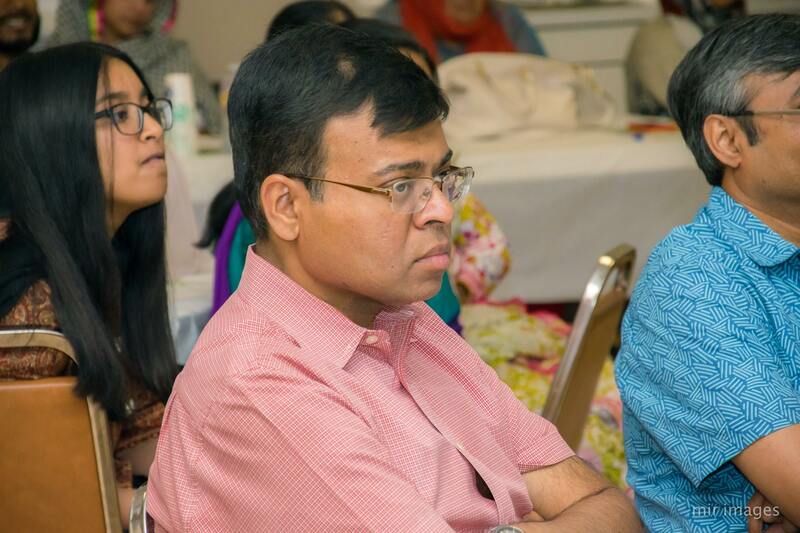 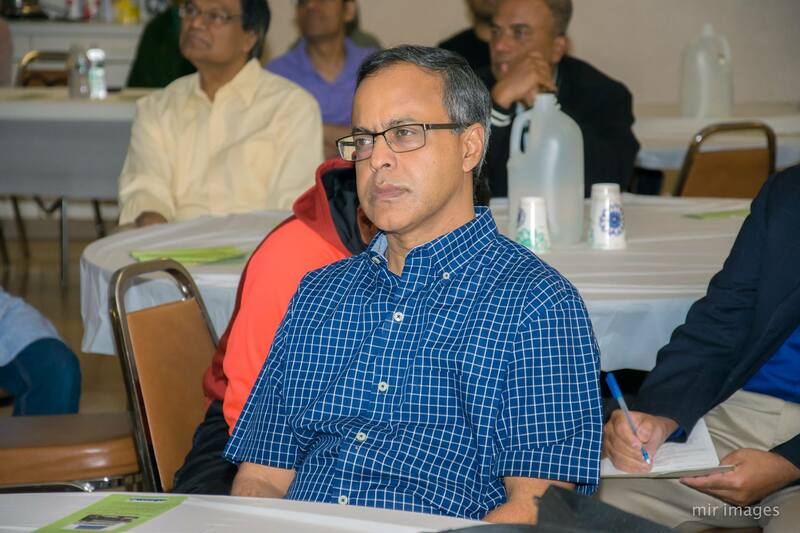 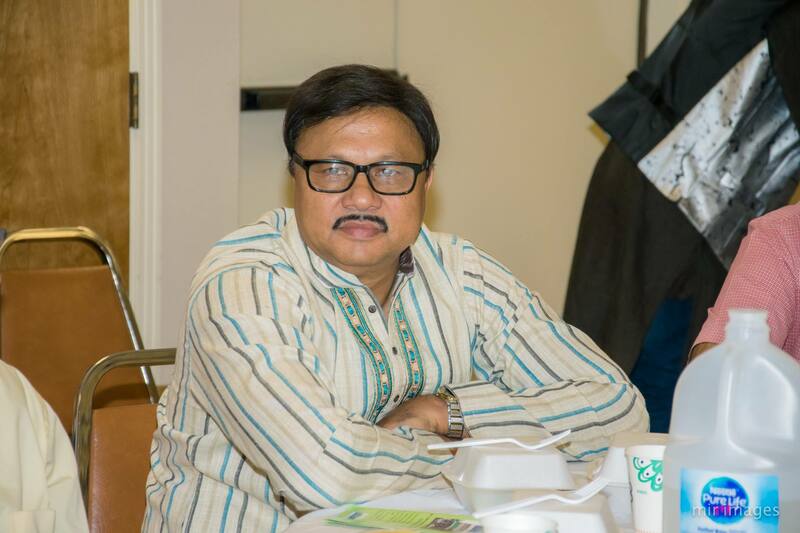 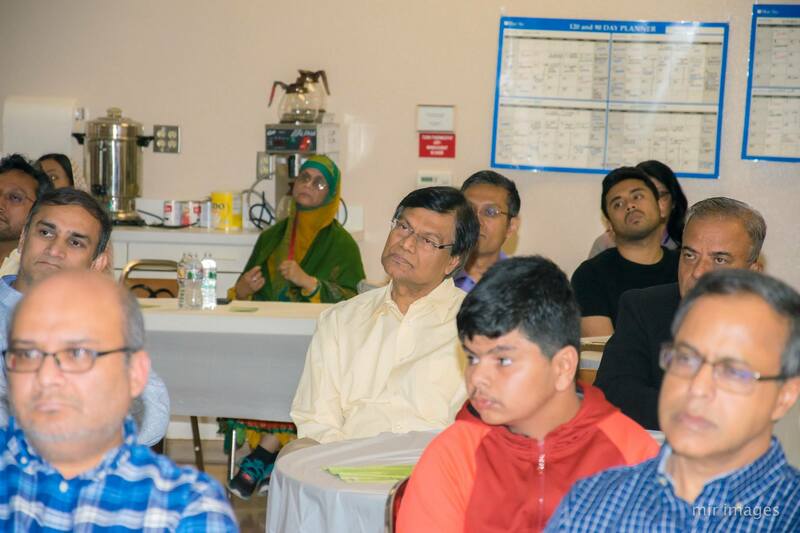 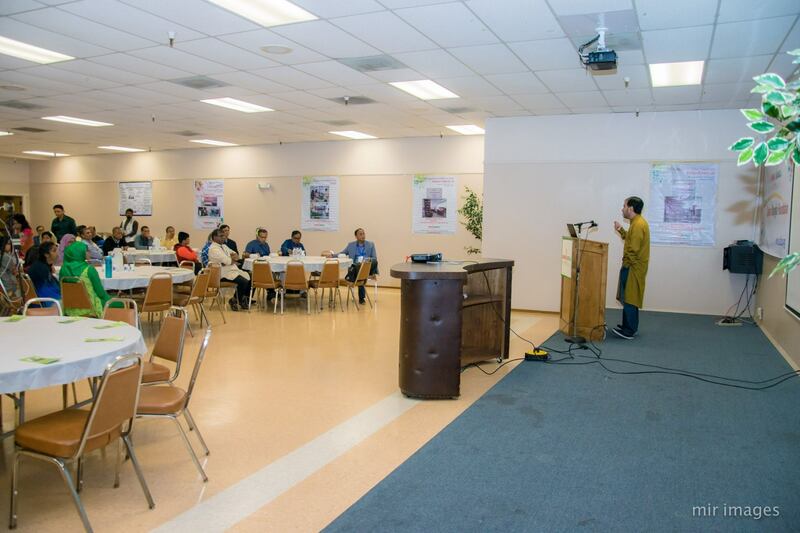 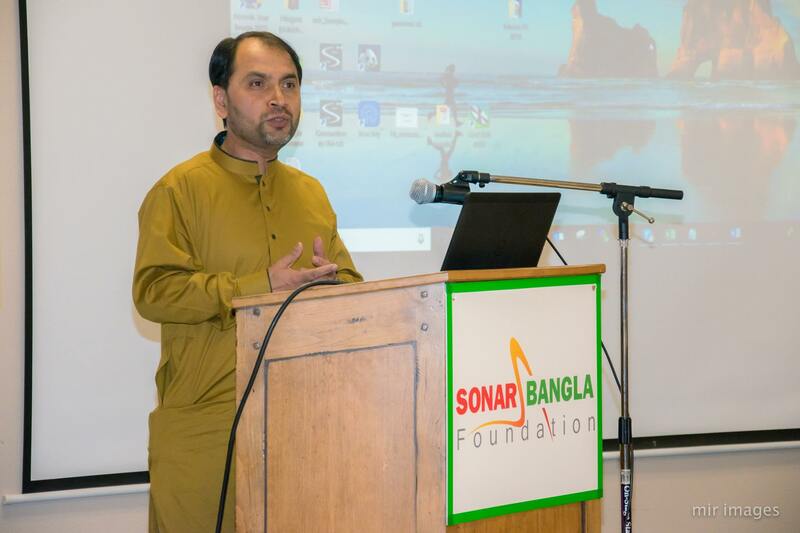 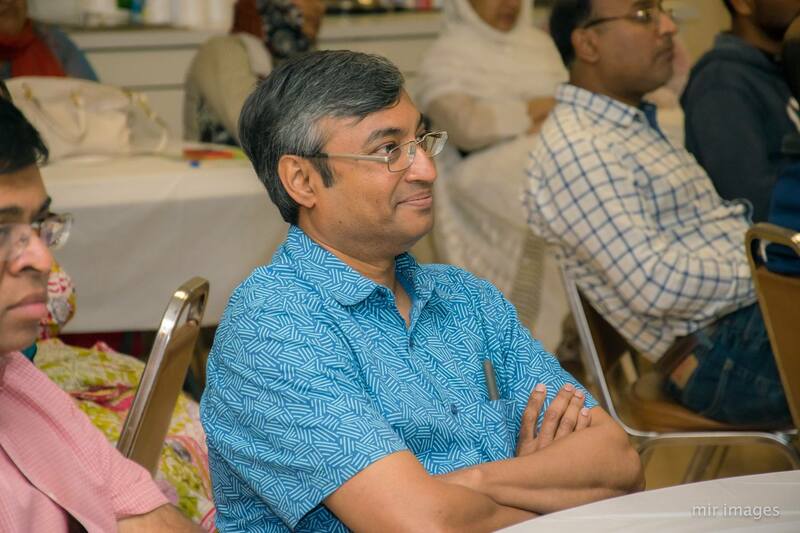 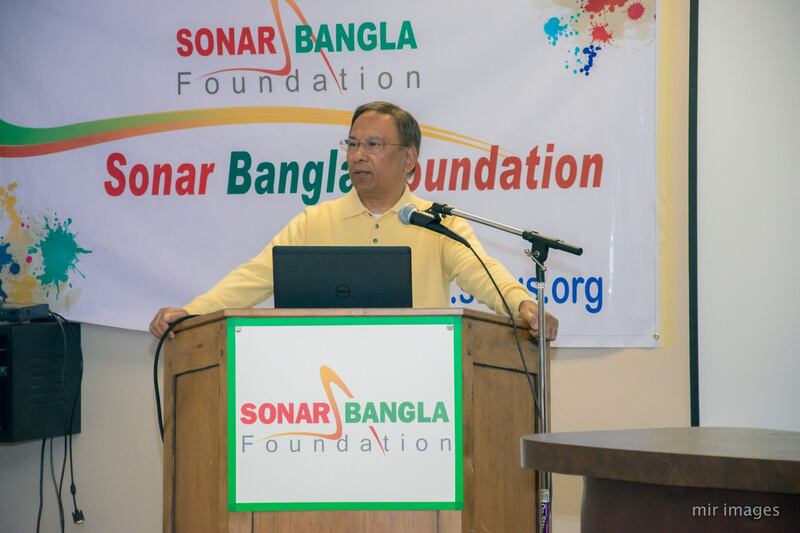 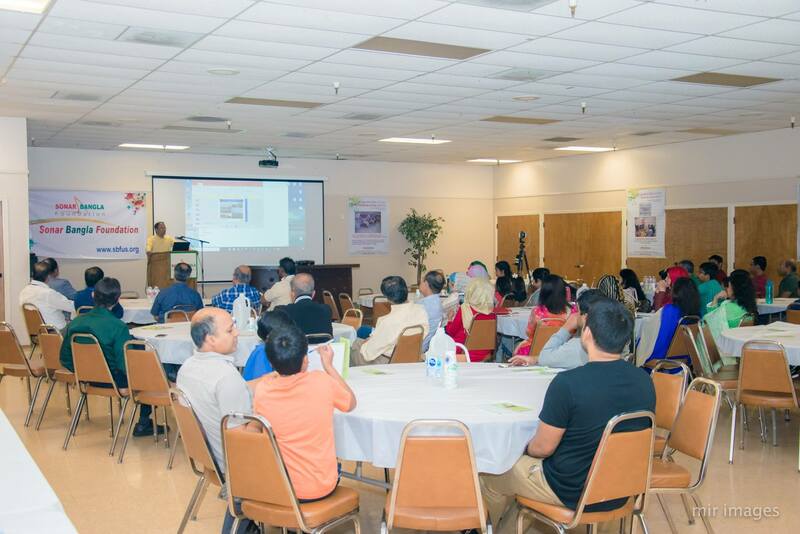 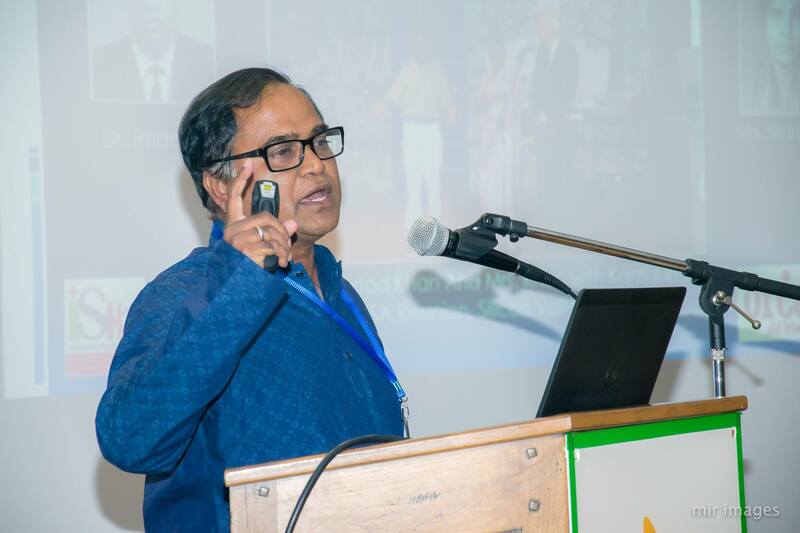 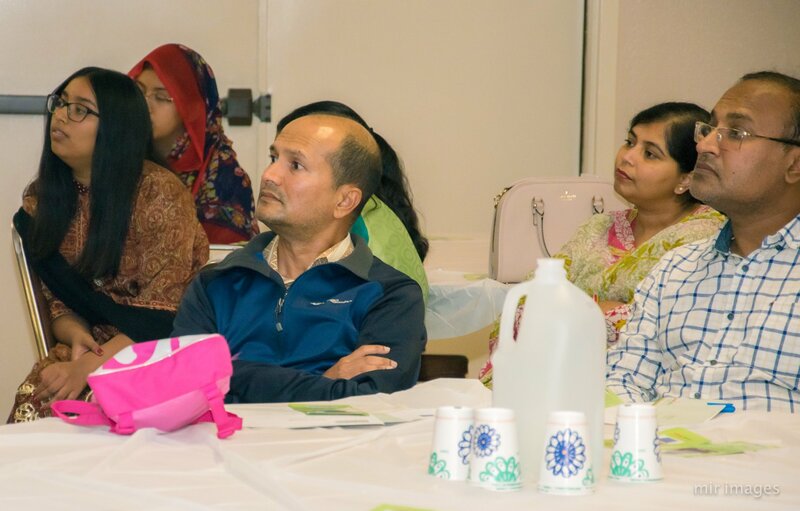 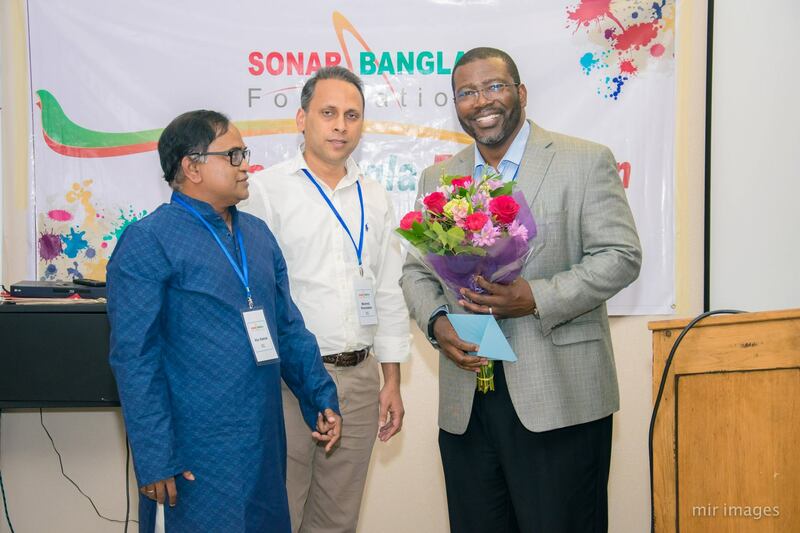 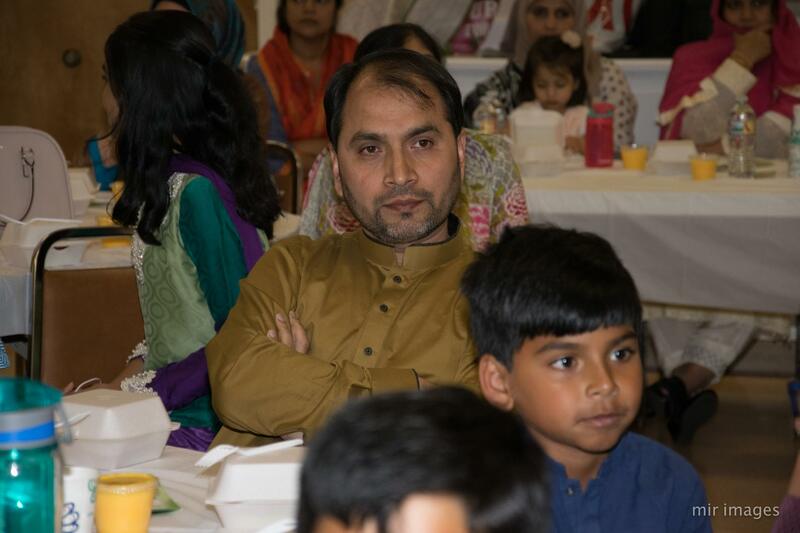 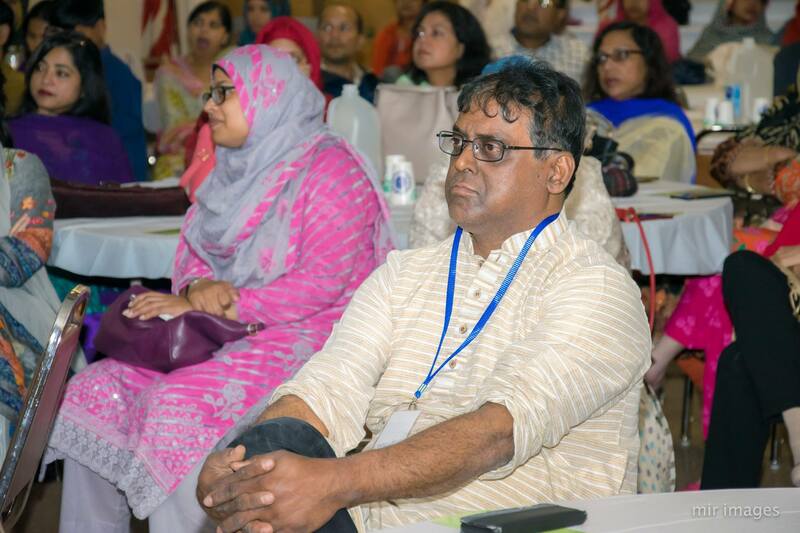 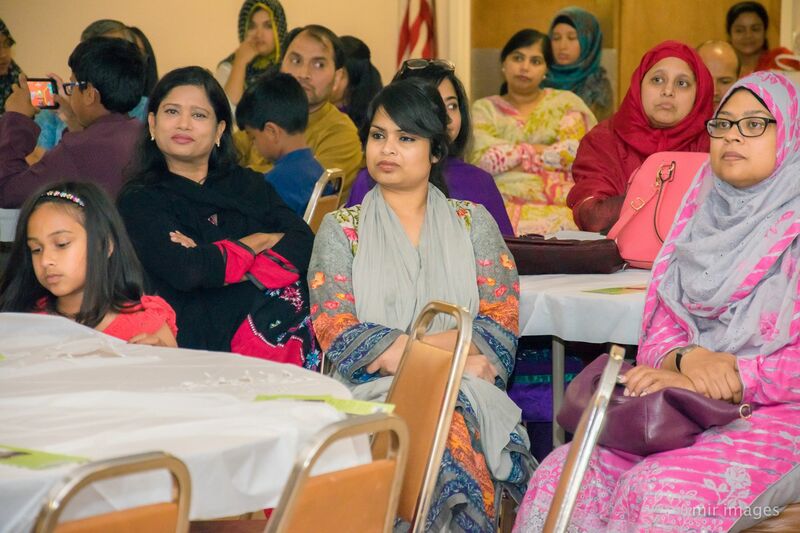 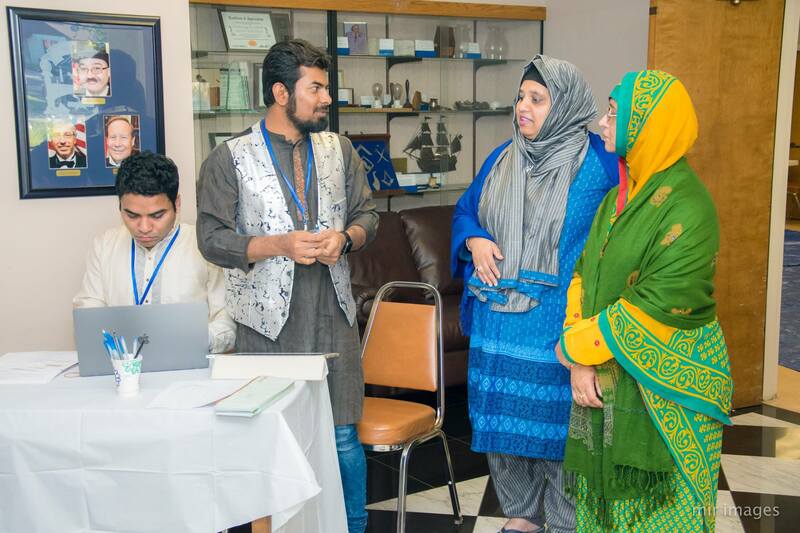 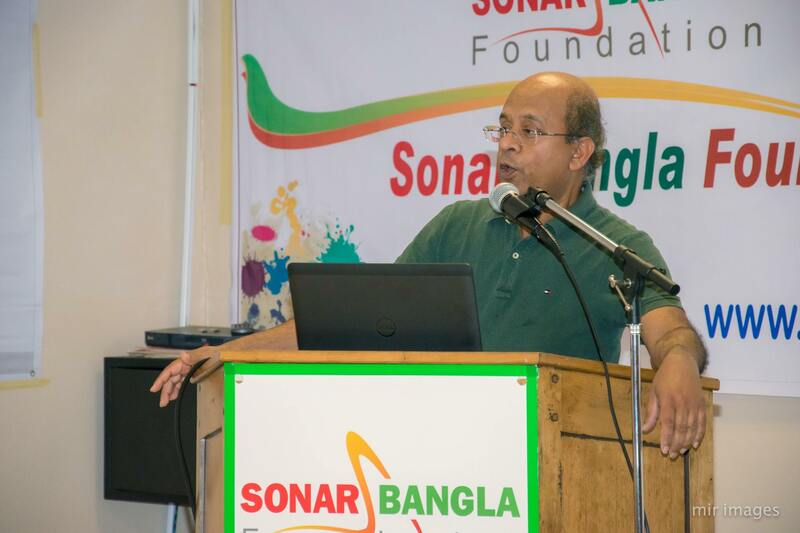 Attended by about 100 Bangladeshi community members, the event was to raise about $50K, which will be used to subsidize patients in SBF's 15 dialysis centers across Bangladesh. 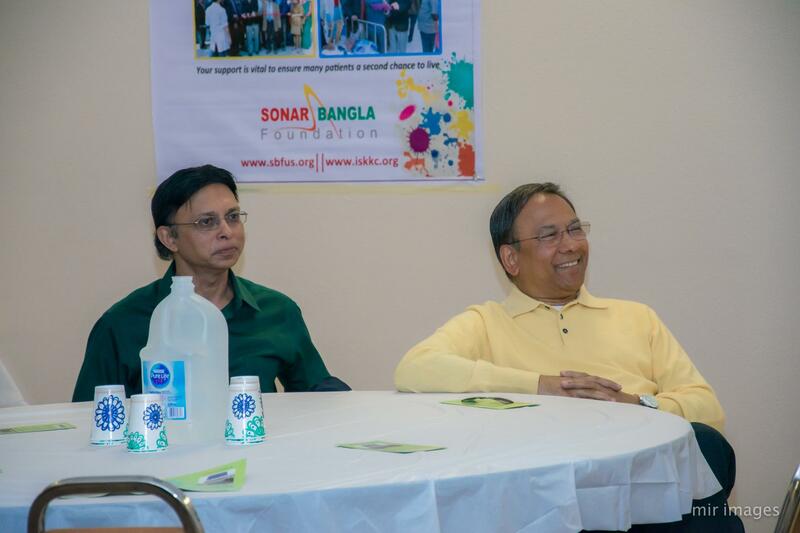 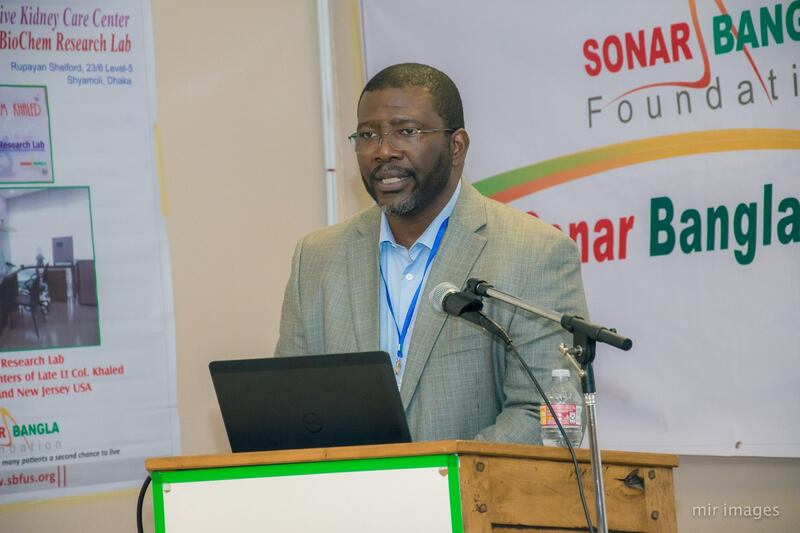 Chris At Water, Director of Technical Operation, Bridge of Life, USA, spoke as the guest of honor. 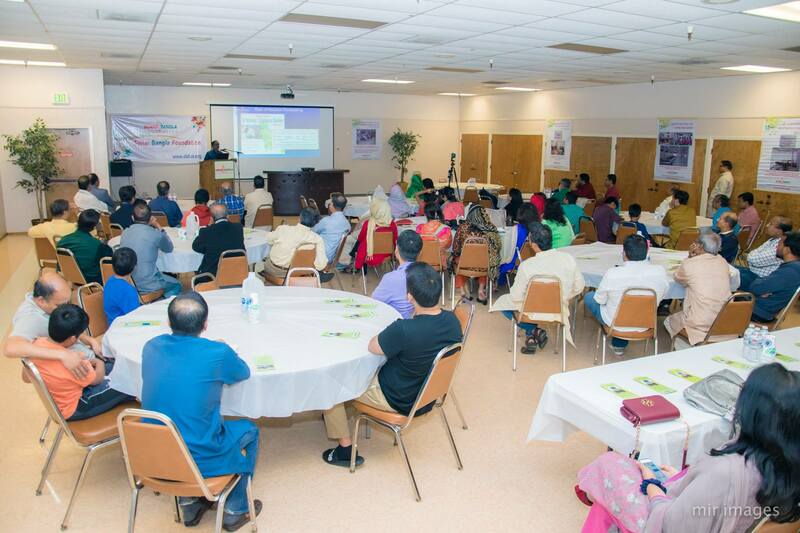 Admission - Free, complementary Iftar and Dinner will be served.